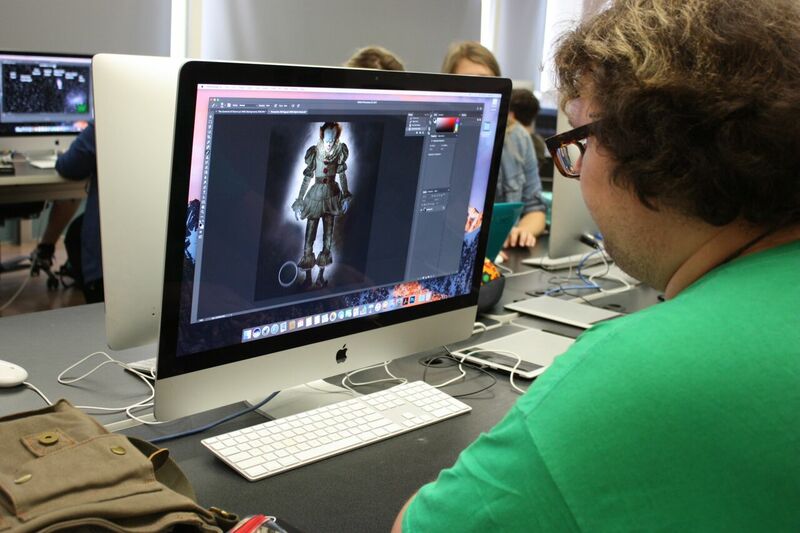 Digital Media Design is a Division of Art major combining aspects of art, communications, business, and digital media. Students study with a variety of instructors with expertise in graphic design, photography, publishing, video, audio, animation, web design, marketing, and business information systems. Students develop a broad range of communication skills in visualization, communication, presentation, writing, and technology. These skills provide an excellent foundation for careers in publishing, graphic design, web design, multimedia, arts administration, copywriting, and specialist careers in the art, design, and digital media industries. Many classes will be held in the new Media Arts Center. Students will experience lectures, workshops, tutorials, and project work. Opportunities for independent learning and internships will be readily available. This degree broadens the scope of the Division of Art at West Liberty University, giving students the option to choose a Bachelor of Science in Graphic Design, a Bachelor of Arts in Art Education, or a Bachelor of Science in Digital Media Design. The Division of Art at West Liberty University is already comprised of accomplished faculty members, excellent facilities, a wonderful support staff, and students who care a great deal about receiving a quality education with an eye towards the future. The proposed degree program takes full advantage of the new Media Arts Center, giving students the opportunity to experience cross-discipline studies in video and audio production. Use a variety of digital imaging tools to create still graphics that adhere to the principles of design as evidenced by passing scores on the Art division scoring rubrics. Use photography and typography effectively in the development of graphic layouts. Students will receive passing scores on the Art division scoring rubrics. Write, storyboard, shoot, and edit video using professional video production techniques. Students will receive passing scores on the Communications division scoring rubrics. Score, create, and edit digital audio pieces to be used in linear and/or multimedia projects. Students will receive passing scores on the Music division scoring rubrics. Write, storyboard, and produce websites and animation for web delivery. Students will receive passing scores on the Art division scoring rubrics. Design and produce a final capstone project that integrates learned digital techniques from the divisions of Art, Music, and Communications. Students will receive passing scores on the Senior Project scoring rubric. DMD students have the opportunity to work on WLU’s WLTV-14 and the student run radio station WGLZ. Art is Alive at West Liberty! From award winning faculty members, to award winning students, West Liberty's art program is constantly buzzing with excitement. If you love art, then you have come to the right place. Browse the site, then make an appointment to browse our facilities. Sit in on a class, meet the professors, take in a gallery show. There is always something happening in the art department at West Liberty University.